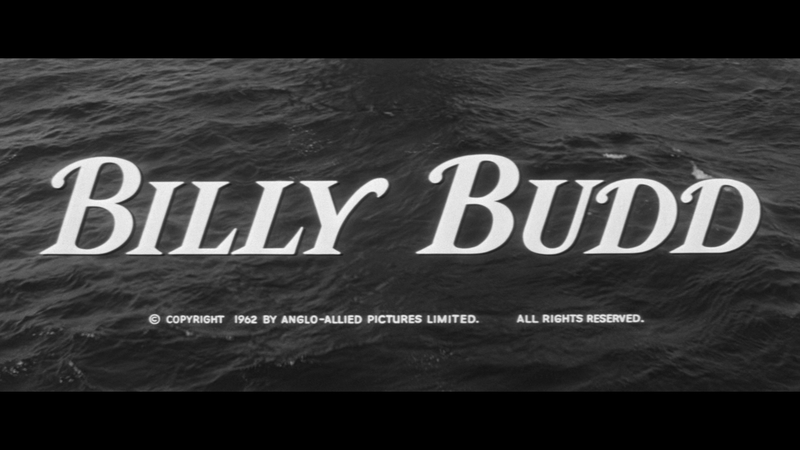 Billy Budd is a well made, high-seas adventure film that features a great breakout performance from Terence Stamp marking only his second feature film (his first also was released in ’62). Handsome, young Billy Budd (TERENCE STAMP) joins the British navy during wartime, where his skill quickly makes him a trusted crew member. However, sinister master-at-arms Claggart (ROBERT RYAN), secretly jealous of Billy, accuses him of treason. Billy strikes Claggart in anger, causing him to fall and die. Capt. Vere (PETER USTINOV) feels pity for Billy but believes that maritime law requires that Billy be executed for killing an officer. This comes with an Audio Commentary by filmmaker Steven Soderbergh and actor Terence Stamp with Soderbergh serving as a moderator and the Theatrical Trailer (3:01). 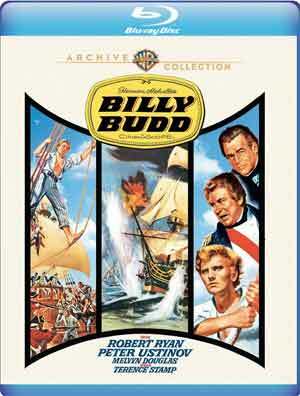 Warner Archive releases Billy Budd onto Blu-ray where it’s been given a new high-definition 1080p transfer and presented in its original 2.35 widescreen aspect ratio. The black and white video looks excellent showing nice and stark dark levels and well balanced whites without appearing blown out. I really didn’t notice much in the way of any artifacts, dust marks or other flaws so it does appear to be clean. The disc includes a DTS-HD Master Audio 2.0 Mono track and honestly, probably one of the better singular tracks I’ve come across. Dialogue levels come through quite nicely and the few more action-centric scenes does provide some decent depth. 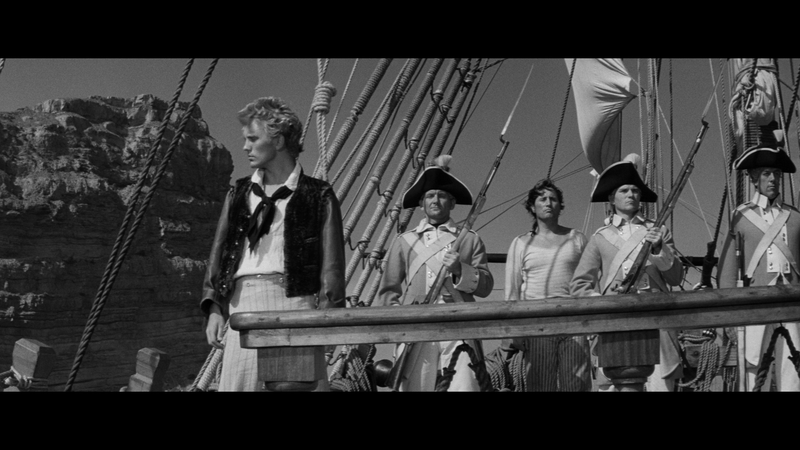 Overall, Billy Budd is a well made, high-seas adventure film that features a great breakout performance from Terence Stamp marking only his second feature film (his first also was released in ’62). The Blu-ray from the Warner Archive Collection has great video and audio transfers and although the features are lacking, the commentary with Soderbergh and Stamp almost makes up for it.